YAROSLAVL (Sputnik) - Yulia Skripal, who was allegedly poisoned alongside her father Sergei Skripal in the UK city of Salisbury in March, will return to Russia when the latter gets better, Yulia's cousin Viktoria Skripal told Sputnik on Thursday. "[Yulia] said she was doing well and already had a connection to the Internet… She will return home when her father gets better," Viktoria said. The phone conversation took place on Tuesday, when Sergei Skripal's mother was celebrating her 90th birthday. "She was very happy to hear that Sergei was okay," Viktoria stressed, adding that, according to Yulia, Sergei Skripal still had a respiratory tube in his trachea. On March 4, the Skripals were found unconscious on a bench at a shopping center in Salisbury. 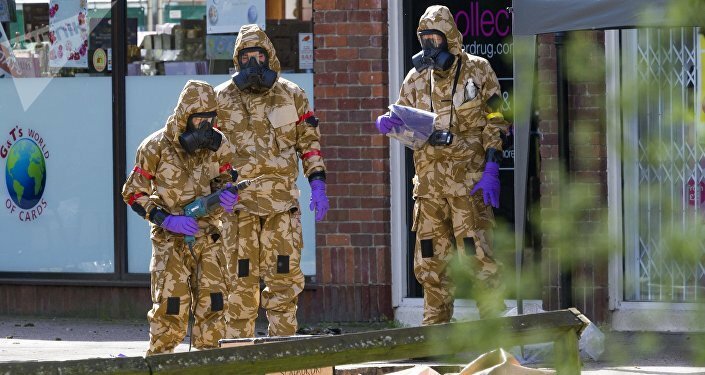 The United Kingdom and its allies have accused Moscow of having orchestrated the attack with what UK government claims was the A234 nerve agent, albeit without presenting any proof. Russian authorities have refuted the allegations as groundless.